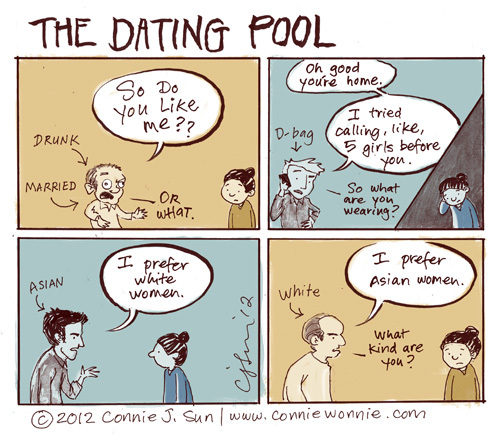 From one panda to another, I've lived in the inverse of the bottom two boxes as an Asian male. Its all perception, in fact LuckyFlavor23 looks cute to me. Everybody finds somebody. I've done it repeatedly! Chin up! (Pun intended) -Worse comes to worse you can join that other guy's yellow fever FB group. Haha...no really love the cartoons!